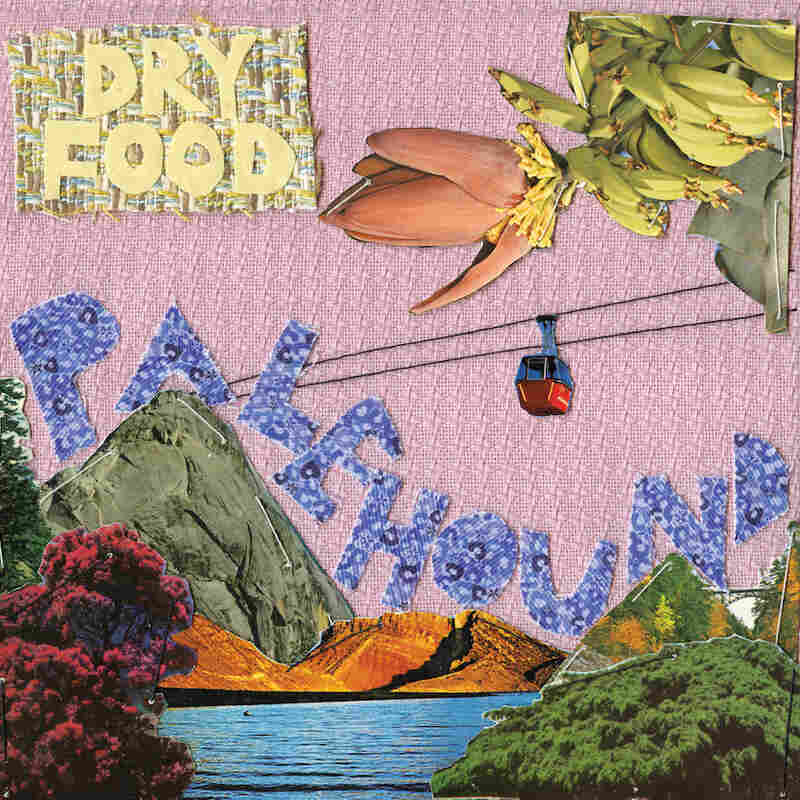 Review: Palehound, 'Dry Food' Ellen Kempner and her band document a fraught transition from childhood to adulthood — and do a great job, in part because they're still living through the process. Striking out on your own during your teens and early 20s is rarely a direct or easy path — it's a breadcrumb trail of false starts and missteps as you figure out who and what you want to be. Ellen Kempner, the Boston songwriter and guitarist behind Palehound, documents that fraught transition from childhood to adulthood as well as anyone around — in part because she's still living through the process. Kempner first introduced herself with "Pet Carrot" — a playful yet personal song about loneliness and seeking companionship, marked by a clever couplet: "My heart's a beginner / True love was a sinner." It's the kind of Moldy Peaches-esque bedroom recording that feels as if you've accidentally intruded on a conversation that wasn't meant to be overheard. Like so many of Palehound's songs, it builds into a crackling rocker steeped in sounds of the '90s — all static and exposed nerves. It's an emblematic highlight from Palehound's 2013 EP, Bent Nail (and a signature calling card in her live set), and it showcases Kempner's wry sensibility, as well as her ability to portray complex emotions with verve and authenticity. Kempner took to the guitar early, looking for an outlet as a precocious, self-described shy kid who felt like she didn't quite fit in growing up in a socially claustrophobic New York suburb. She found college just as stagnant and confining, and again turned to music to express anxiety, self-doubt and sadness over faded relationships. Feeling distracted and overwhelmed after Bent Nail's unexpected attention, Kempner dropped out of school to focus on new music. That short but influential time, with all its successes and struggles, informs Palehound's excellent new album, Dry Food. Written and recorded in 2013 and '14, the album finds Kempner, now 21, performing every instrument except drums; she says she wrote with greater thought into how her songs would be perceived by fans and function on stage. Performed by a full band — including Grass Is Green drummer Jesse Weiss and bassist Nick Koechel — these eight new songs sound sharper while possessing a more confident sense of identity. That's especially true of Kempner's smart, introspective lyrics, which leave many elusive details open to interpretation. "Dixie" offers up one notably evocative turn: "People that I'll never meet have been showing up naked in my dreams / And I try to close my eyes, but I really wanna see their breasts like eyes are staring back at me." In the clattering lament "Heathier Folk," Kempner sings, "Drizzle honey on my open salt wound / Mom said use a harpoon if I ever need a meal," atop fuzzy acoustic strums and swoony melodies. Throughout the record, Kempner repeatedly alludes to a messy breakup: In the droning waltz "Dry Food," she sings, "You made beauty a monster to me / So I'm kissing all the ugly things I see." In the clattering minor-key burst "Cushioned Caging," she admits, "When all that's left of me's my youth / Hoping that my hair will start its graying." The album closer, "Seekonk," covers similar ground, describing her isolation as a bed grown cold while she numbs the lingering pain with distractions: "But now I'm not alone, 'cause I watch TV cartoons and the news, all starring me." Dry Food is equally defined by its dynamics and Kempner's skillful, studied versatility as a guitarist — an essential counterpoint to her voice. While kicking off the album with a biting take-down in "Molly," Palehound channels a bit of St. Vincent's Annie Clark, as she unleashes knotty, scorching riffs and deceptively intricate melodies. Elsewhere, Kempner's finger-picked accompaniment pulls from Elliott Smith ("Easy"), hints at the snarling kicked-in-speaker feedback of Pavement ("Healthier Folk"), and even dabbles in the extended jazz harmonies and technique of Wes Montgomery ("Cinnamon"). Likewise, in Palehound's music, you can hear strains of other influences — like Avril Lavigne and The Breeders' Kim Deal — and of peers like Speedy Ortiz's Sadie Dupuis, who's served as everything from camp counselor and mentor to close friend and even roommate of Kempner. Dry Food is the sound of Ellen Kempner coming into her own musically, and of a dynamic new artist capable of embodying wide-eyed empathy and the all-consuming yearn of youth, while still demonstrating wisdom beyond her years. The most exciting part of all: Palehound is only beginning.